President Emmanuel Macron has defended France’s arms sales to Saudi Arabia which is engaged in a deadly war against its neighbor Yemen. “France has adopted a very specific arms process, with an existing commission that has reinforced its rules of distribution whereby all sales of military equipment are analyzed on a case-by-case basis and on the basis of reinforced criteria that reflect respect for international humanitarian law and the risk of harm to civilian populations,” said Macron at a joint conference with Saudi Crown Prince Mohammed bin Salman in France on Tuesday. 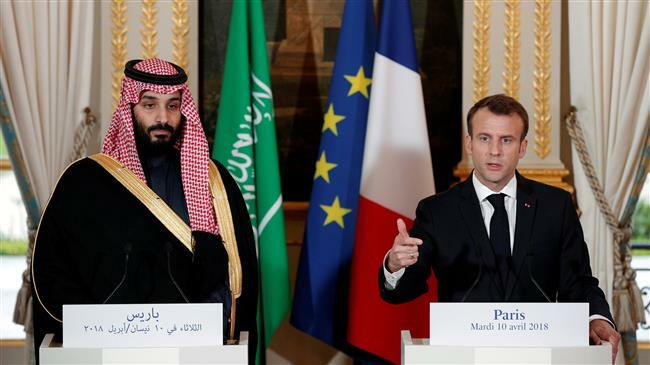 Macron further noted that France fully supports Saudi Arabia’s security and slams any manner of ballistic missile activity from Yemen’s Ansarullah forces. Most of these weapons have been used in Saudi Arabia’s more than three years of war on its southern neighbor Yemen. Rights groups have repeatedly called on Paris to stop the provision of arms and instead impose pressure on Saudis to stop the carnage which has left more than 14,000 people, mostly civilians, killed since the war started in March 2015. As part of the increasing arms sale, Riyadh has been procured with French tanks, armored vehicles, munitions and artillery and navy ships over the past years. Paris has come under fierce criticism by rights groups at home and abroad for selling arms to the Saudi regime.